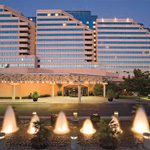 Hyatt Regency Santa Clara features modern spaces and outstanding service for business and vacation travelers in Silicon Valley. 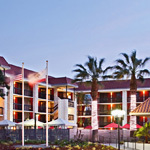 Directly connected to the Convention Center, our Santa Clara hotel offers sweeping views of the valley and easy access to many area attractions. With over 60,000 square feet of versatile event space, expert event planners, and a 24-hour business center, Hyatt Regency Santa Clara is the premier hotel for business and event travelers. 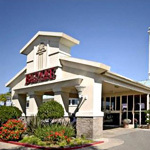 Our San Jose hotel offers a convenient location in the heart of Silicon Valley. Pop over California's Great America amusement park, be entertained Levi's Stadium and take care of business at two of the area's largest convention centers. Our vibrant social scene and stylish, urban-inspired design allow you to stay & play in one of northern California's best neighborhoods. For the hipster geek and playtime chic, Santa Clara’s Avatar Hotel, with its close proximity to business campuses and entertainment venues, is a favorite among business travelers and staycationers. Its vibrant décor, kitschy robot collection, and weekend pool scene is ideal for those who want to click, connect, and refresh. Both professional coders and expert sojourners will appreciate this boutique hotel’s funky vibe and amenities in the hub of Silicon Valley. Delight in a welcoming array of luxurious comforts from the Biltmore Hotel and Suites, Santa Clara, California; the heart of Silicon Valley. 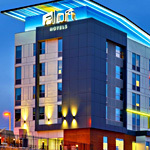 Featuring superior accommodations and executive-style amenities, our Santa Clara, California hotel is located just minutes from Levi’s Stadium, leading downtown San Jose businesses, the Santa Clara Convention Center, SAP Center and California's Great America. The perfect address for business and pleasure, we invite you to enjoy our signature style of unsurpassed luxury and value.